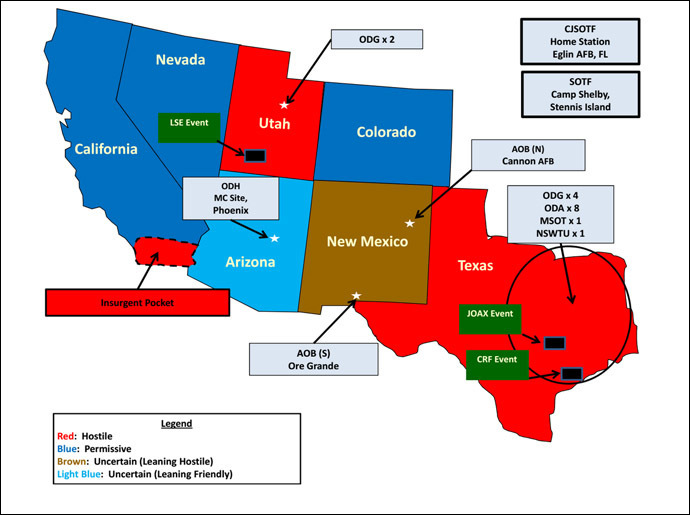 Operation Jade Helm Sweeps Across 7 States In SW: What’s the real purpose? 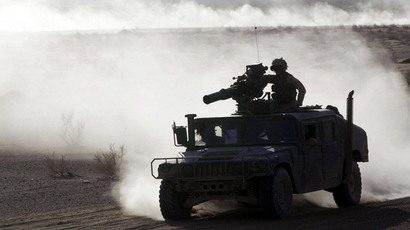 In an effort to simulate the type of battlefield conditions soldiers may face in foreign countries, the US military has designated the remote training areas where they will operate as in a “hostile” territory, a description that has irked some residents. “The most noticeable effect the exercise may have on the local communities is an increase in vehicle and military air traffic and its associated noise,” Shadow Spear said. Army Special Operation Command spokesman Mark Lastoria attempted to allay fears that the training is a actually an effort on the part of the military to practice “covert warfare tactics and martial law.” He said the domestic military operations are designed to develop “emerging concepts in special operations warfare,” and were not part of some kind of dark plans to take over the United States. 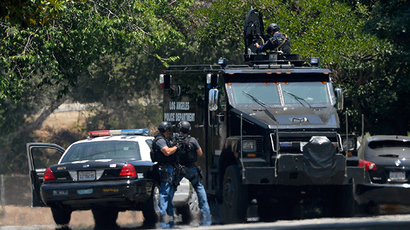 Paul Pape, a Bastrop County judge, also downplayed fears that the domestic military training was in reality rehearsal for full-blown martial law on the streets of America following some sort of major catastrophe. “What I see here is an opportunity for a portion of our military to be better prepared and better trained to do work that has to be done to secure America’s interests around the world and here at home,”Pape told KEYE television in Austin, Texas. 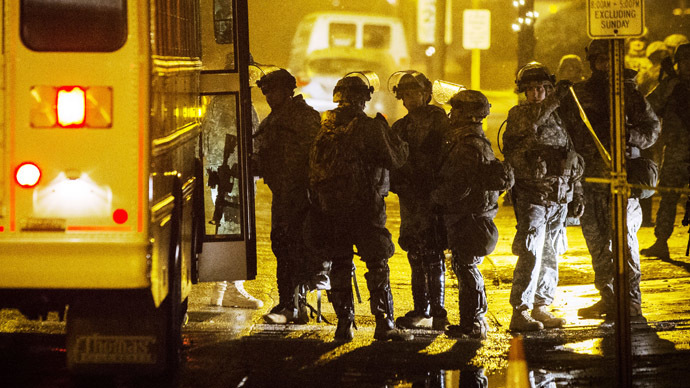 This is not the first time that American urban areas have served as the training areas for US forces. Now, the Special Forces boots will be on the ground in cities and towns across the country, and that has some people asking a lot of questions.